You know, I am very interested in UU history from the 20th century, the story of our faith in the period of time that immediately shaped the way that we conduct ourselves now. And one of the things that I have been curious about is this: most UU churches and congregations outside of some New England towns have an air of social rebellion about them. They stand against the status quo and the powers that be. It may not be that the congregation is actually all that radical or actually make all that much trouble, but they like to think that they do. They have posters on the bulletin board that bring news of faraway struggles, and some members are very active in organizations like the ACLU, or Amnesty International, etc. The congregation sings songs like “Standing on the Side of Love” and “We are a Gentle Angry People” with sincerity and enthusiasm. We tell a history of ourselves that highlights the pacifists, the agitators, the Susan B. Anthony’s and the abolitionists. I am not at all critical of this: this is also my expectation about 21st century Unitarian Universalism. But if you go into the history, the real history of Unitarianism and Universalism, as it was lived through the 19th and most of the 20th century, this is not what we were at all. On the Unitarian side, for most of our history, we were the church of the economic elite, and we were known for making the least demands on our members. Somewhere back in the heyday of Megachurch protestantism (1990’s) someone asked Bill Gates what he thought of organized religion. He didn’t see any great harm in it, but he thought it was a tremendous waste of time. In the 19th Century New England, where it was expected that everyone should go to one church or another, such an attitude would have led Bill Gates straight to the Unitarian Church. It was socially respectable, didn’t tell him what he had to think, and it was not too demanding. You didn’t have to go every Sunday and usually you had the summers off. The last thing it was was rebellious or radical. The church I served in New England, in Worcester MA, they led the effort to build the Worcester Art Museum. I found no record of any solidarity committees with the striking miners in the West or groups agitating for freedom for Sacco and Vancetti. In 1969, the majority of the church indicated that they were Moderate Republicans. The Universalists were not any more dangerous to the status quo. They had a kinder and gentler theology, which talked about a God who was loving parent, but that theology did not lead most Universalists into rousing much rabble anywhere. So the question arises to me, when did this self-understanding of our faith as a radical, rebellious faith start? What started it? How did we go from being the free-thinking and enlightened wing of the establishment to what we are now? I think UU historian, Mark Morrison-Reed has one part of the explanation: the Civil Rights Movement. For the first time, many of the UU ministers and a significant part of the laity were activated in solidarity with a social movement, a development that reached a breakthrough point in the Selma story. But I don’t think that explains it all. How did we get to that point? 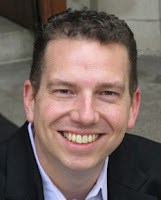 And that question led me to think about Humanism and our UU history with humanism in a new way. We tell the story of humanism as being the response of theology to the advances of science. As the fruits of the scientific method became more and more abundant, it just became clear that the traditional claims of theology were just not true and factual. The evidence is in: God did not create the world in 6 days. Human beings evolved along with other primates. There is not hard evidence to the existence of the eternal soul or of life after death. Dead creatures do not return to life and the resurrection of Jesus was impossible and therefore did not happen. Given all these incontrovertible facts, how do construct a religious life, or a religious movement that is based in reality and not in fairy tales? We have heard how it was done. You can redefine all the religious concepts into human, non-magical, understandings. Where is our holy church? 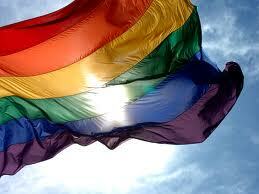 Where people unite in the search for beauty, truth and right. Where is our holy land? Within the human soul, wherever free minds truly seek with character the goal? Or another way: Love is the Doctrine of this church, and service is its law. Humanism, as a theological trend, took shape in the Humanist Manifesto in 1934. Unitarian ministers were among the writers and signers. Humanism became by the mid-20th century, the default theology of Unitarian Universalism throughout most of the country. Even in New England, many churches junked all the vestiges of liberal Christianity and theism from their liturgies, and even their architecture. Crosses were taken down, communion silver banished to remote closets, ministerial robes put into mothballs. I think, though, there is another dimension to this story which is more an explanation for our current atmosphere of cultural radicalism. I have been reading an excellent book called “One Nation Under God” by Kevin Kruse. His book is a history of the efforts made by the national elites to shape the religious opinions of the American public to serve their interests. During the 1930’s, Protestant leaders and business leaders (the Bill Gates of their day) joined together to promote Christianity as an anti-collectivist theology and political movement. The good Christian man did not turn his loyalties to a leader, or to a party, or Franklin Delano Roosevelt, or to a union to advance his interest. No, he built the future with the Christian virtues of loyalty, hard work, and reliance on God alone. This pro-business Christianity developed its own organizational form: the community prayer breakfast. Prominent business leader were joined by civic officials and notable Mainline Protestant clergy for regular breakfasts to project a vision of a social order that was working well and promote a public piety of a just and orderly status quo. Jews and Catholics were welcomed at the prayer breakfast, not in celebration of religious difference, but in honor of how those religious traditions supported the same social virtues. This trend in public Christianity had a mostly Republican air to it, representing upper class opposition to Roosevelt and Truman. But after WW2, Dwight D. Eisenhower, a Presbyterian, identified with the prayer breakfast movement, and it was a part of his electoral success, against the Adlai Stevenson, who was by the way, a Unitarian. Under Eisenhower, this alliance between the mainline Protestants and the business community was into a kind of Christian nationalism: now in opposition to Godless Communism. In the early 50’s a campaign to conflate patriotism with religion was in full flower. 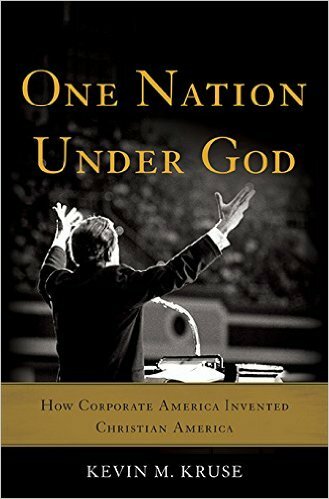 The single most symbolic expression was when Congress added “one nation under God” to the Pledge of Allegiance. In 1955, the 84th Congress passed a law adding “In God We Trust” to the national currency. All sorts of religious encroachments on the secular state were made. My father was a Unitarian Minister in Providence RI in the early 1950’s and he became a public spokesman for those who opposed a plan to let the school kids out of the public schools on Wednesday afternoon so they could attend religious instruction in their churches. The plan was opposed a small coalition of Jews and Unitarians. During the 50’s, The National Advertising Council produced and ran public service announcements on radio, TV, newspaper, and billboards urging everyone to go the worship service of their choice every week. In 1959, church attendance was at its all time high. When we look back at the church of the 1950’s and marvel at how strong they were, how respected the ministers were, we need to remember that was a highpoint and that was supported by an aggressive public relations campaign, supported by the elite elements of the society, to enlist the whole society in religious institutions as a part of the Cold War. It was in this context that the Unitarian Fellowship movement emerged. The Fellowship Movement was a growth strategy that was launched by the American Unitarian Association in 1945. The AUA decided that any group of 10 people could form a Unitarian Fellowship if they met the standards of the AUA and sent in some money. The AUA scouted out areas that they thought were good candidate and ran newspaper ads that promoted Unitarianism. They used these ads to gather up the initial group. Those ads had a distinctly humanist tone, reflecting the theology then dominant in the Unitarian movement. What's your idea of true religion? Unitarianism is a way of life, life of vigorous thought, constructive activity, of generous service -- not a religion of inherited creeds, revered saints, or holy books. Unitarianism is not an easy religion. It demands that people think out their beliefs for themselves, and then live those beliefs. The stress is place upon living this life nobly and effectively than on the preparation for an after-existence. If you have given up "old time" religion, Unitarianism has the answer for you. Unitarian churches are dedicated to the progressive transformation of ennoblement of the individual and social life, through religion, in accordance with the advancing knowledge and the growing vision of mankind. Jesus: God, Man, or Myth?God: Person, Force, or Phantom?Are Unitarians Christian?Prayer: To Whom and for What?Is Death the End?What are We Here For? Now, imagine this sort of ad appearing in the context of the late 40’s and 50’s — when the whole society is being pressured and pushed toward a amalgamation of conventional Protestantism and Patriotism. And imagine then, the people that such an ad would gather. It would not be a collection of those who thought themselves the local establishment, or the slightly more skeptical wing of the respectable elite. Such a group would be, by its very founding impulse, by its DNA, a little center of resistance to the prevailing conventional opinion. What was being formed was a little cell of cultural resistance. 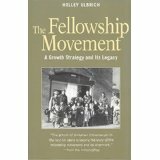 The Fellowship Movement was the single most successful growth strategy of the entire Unitarian or Unitarian/Universalist history. Over one third of present UU congregations were formed as fellowships in the period of 1948-1967. I think that our turn from the respectable religion of the 19th and early 20th century predates our commitment to the Civil Rights movement; it stems from our resistance to the Christian nationalism of the 40’s and 50’s. We were formed in this moment of a push toward a cultural conformity, and our resistance to it. Humanism, not only as theology, but as resistance to the popular forms of piety of the day, is a part of that history. So Humanism continues to show up in UU congregations as a sensitivity to anything that seems like Christianity sneaking into our life together. Tiny things, single words, simple phrases become very important, because they are symbolic. But its legacy may be more subtle and pervasive: a shift in our self-perception from being insiders to outsiders. Mainstream culture is very different now. We have no top-down pressure to go to church. Lots of folks don’t go to church, and nobody seems to care. The pressure toward Christianity is no longer an elite mainline Christianity, but from an evangelical movement that sees itself as culture of resistance to a dominant secularism. If anything the pressure from Christian evangelicals is around matters of sexuality and patriarchy. So my question to you: Is your congregation n outpost of a culture of resistance to the mainstream culture? Is that really part of who you are and why you exist? And if so, how and why? What are you resisting? How do you show it? How is it creating new life and new possibility for you and the people of your community? The great jurist OliverWendell Holmes was asked at a dinner party what his religion was. "Unitarian," he answered. "Why?" was the response. He replied, "In Boston everyone must be something, and the very least you can be is a Unitarian." This reflects only Unitarian history, and ignores Universalism, which was a working-class religion. I can't claim to know much about the history of Universalism, but I do know a little about it from the sermons of David Bumbaugh. He himself grew up in a working-class family, and wrote a history of Unitarian-Universalism that includes the Universalist story. Also, I am not a historian, but I know that there were radical Unitarians in the mid-19th century (Theodore Parker). Like today, the church was home to the elite, but among the elite in the Unitarian church there were already rebels. Unitarian Universalism is not helped by its self-perception as a radical/rebellious religious movement. Yes, there were 19th Century radical reformers among us: Parker, Susan B. Anthony and others. They were not typical of Unitarians of that era, but outliers. And yes, the class basis of Universalism was different than the Unitarians, but being less elite did not make them more radical. I am not condemning them. Current generations of Unitarian Universalists lift up the more radical strands of our past because we feel like cultural radicals now. We are looking for a past to match our present consciousness. But my point is that our present sense of being culturally radical does NOT flow from the history we claim, but from our humanist resistance to the overbearing and aggressive Christian nationalism of the Cold War era. I am not condemning that either. Tom, brilliant writing and an important subject about the DNA of UUism. Two things: first, what percentage of the people drawn in by the Fellowship Movement had been U or U before? My suspicion is that the forebears of many fellowships never signed on for theism or a language of reverence—hence the mistrust of clergy. Second, I think it’s significant that Humanism flourished in the Midwest, away from the power elite. Humanist ministers were “second drawer,” not Harvard educated. They grew up in centrist faith traditions among the working class and struggled out of traditional theism. First U of Minneapolis started as a Liberal League group in the 1870s fighting against censorship of the US Mail. They lost but continued as a Darwin reading group before becoming a Unitarian congregation. During the 1930s the congregation hosted the WPA plays of the era, explicitly Communist. During the 1950s the minister, Carl Storm, who worked his way through college as a butcher, was explicitly Marxist and atheist. This is great as far as it goes. I do think it underestimates the extent to which evangelical Christianity remains, or has become, the dominant culture in very large swathes of the country. By no coincidence, these tend to be the same parts of the country in which UUism is actually growing. The cultural pressure toward religious conformity in these places comes from local elites, no longer (so much) from national ones, but it's very real, as a glance at, say, Americans United's Facebook page will attest. What this says about the ability of UUism to survive in some future world in which our culture becomes truly secular (if that ever happens)is an interesting question. But things like Sunday Assembly seem to show that there will always be people who yearn for religious or religious-like community. Very much appreciate this Tom, and I concur that a decidedly Humanist strain, and resistance to hegemonic Xty has been formative for us. And I fear that the reclaiming of pretty much any New Age mysticism has confused who we are. We did take centuries to debunk irrational and pernicious thinking, but have been pulled back to "god and goddess talk" by the brainwashing of the religious right. (Some variations are new fundamentalism.) Also, and importantly, 2/3 of those fellowship grew very slowly, if at all, and many remain small .. or extinct. The ones that got over the resistance to credible authority and called ministers are mostly the success stories. In ultra-red States like Texas and the rest of the Old South folks who are not of the slash and burn Conservative mind-set are effectively driven into UU Congregations. Methodists and Episcopalian members furtively meet with their pastors behind closed doors and agree that it would be a good thing to raise minimum wage. After a time that gets old. The personal movement to spiritual maturity is ineluctably a movement away from being shackled to a domineering parent-God and into a more universalistic apprehension of Others. Contemporary UUism, to the extent that it abets this growth in spiritual maturity (ultimately and unavoidably humanist), fosters a mindset that can free us from the guilt-based, hierarchical orthodoxy that now threatens human survival. To the extent that it flirts with a mushy theism that cannot bear to break the bonds of timeworn spiritual oppression, it is recidivist and reactionary, and not worthy of support.